With hundreds of fashion apps on the market it’s hard to choose which ones to download without taking up too much precious storage on your phone. No fear, I’ve done all the work for you. After reviewing a good amount of these apps, I’ve narrowed it down to these five must-have apps for fashionistas and guess what, they’re free. Whether you’re looking to shop for a new outfit, organize your closet, or find that top from your favorite blogger on Instagram, these apps are the answer. As a fashionista, if you’re not already glued to your phone, be prepared to become thoroughly addicted. According to The Huffington Post, “Keep.com may be the only fashion app worth getting.” If you’re looking to shop the latest trends in fashion, home decor, accessories and design, look no further than Keep. This app has a universal shopping cart where you’re able to add items from across thousands of brands and checkout all in one place. Composed of a simplistic shopping style similar to Pinterest, this app makes it especially easy to compose a wish list you can come back to actually purchase, instead of leaving tons of abandoned shopping bags all over the Internet. Originally, I downloaded this app strictly for research purposes but now I’ve become a Keep fanatic. Scrolling through Instagram, I’m constantly finding an outfit or accessory that I just must have. From experience, I can attest to the fact that it’s extremely frustrating to try and find an item that’s not linked to a brand or company. Like to Know It makes it possible to shop your favorite Instagram photos and find those must-have products without searching the internet aimlessly. 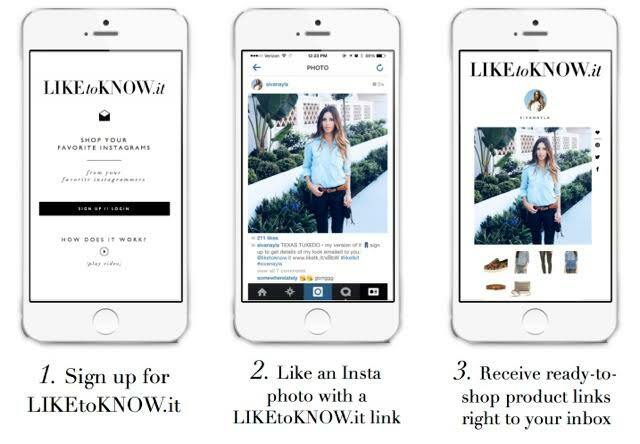 All you have to do is sign up for Like to Know it and any photo on Instagram that you like with the Like to Know It link, you instantly receive ready to shop product links in your inbox, its that simple. As a blogger or just as a fashion enthusiast, the convenience this app provides is perfect for Instagram shopping. 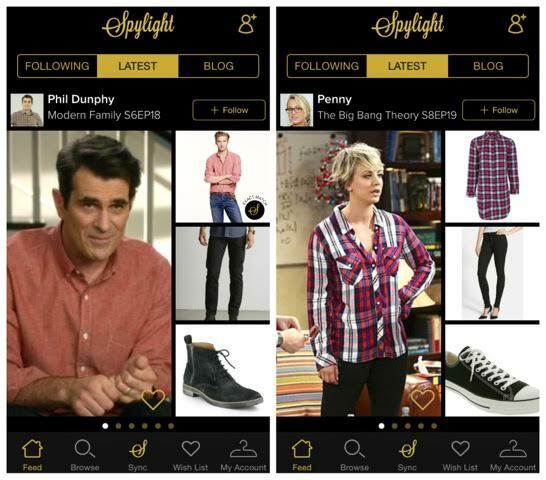 Spylight was by far one of the coolest fashion apps I’ve come across. 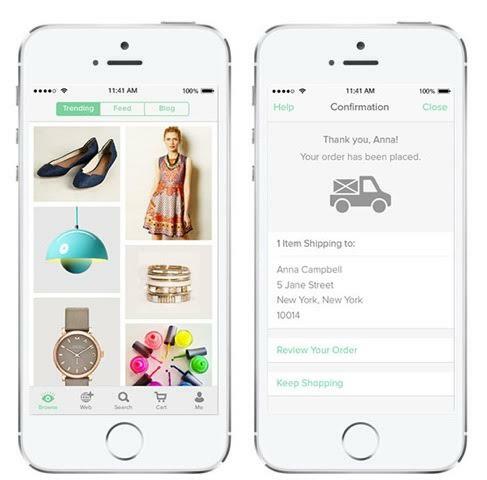 This app allows the public to “shop the screen” or shop fashion’s from TV shows and movies. You’re able to get the entire look from your favorite on-screen character with just the click of a button. For me, I just had to go into the Spylight archives and look up Blair Waldorf and Serena Van Der Woodsen from Gossip Girl, two TV style icons I just could not get enough of. I was amazed that it offered access to character staple pieces and although a piece may no longer be available, Spylight offers similar item substitutions and even some at more affordable prices. 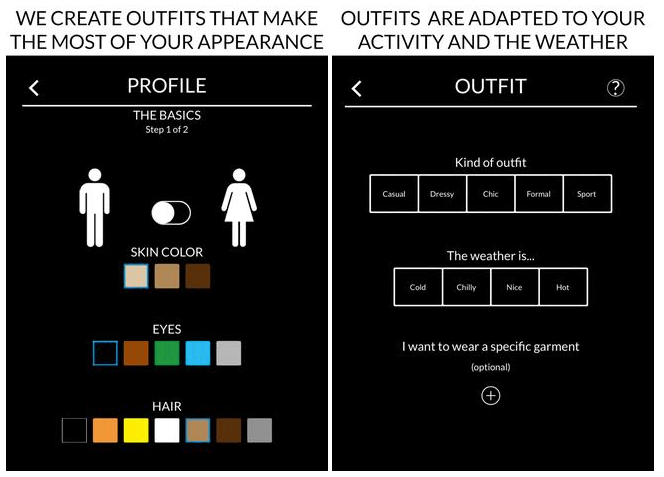 Definitely a fashion app you absolutely have to have in your library. Stylect is like a shoe shopping godsend. It’s been named the “Tinder” of shoe shopping but I would say it’s even better than finding a dating match. Shoes are of course proven to change your life. 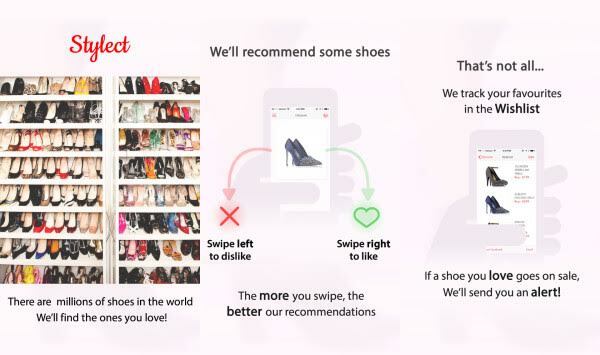 This app is so simple, it’s shocking, at the beginning you’re given several stores and brands to get a feel for your personal style and likes. You can swipe through thousands of shoes until you find the all time perfect match. Stylect is also easily customizable, you can filter from price to color to and style and create a wish list of all your shoe likes. Taking it a step further, you can even add certain shoes to your favorites or set sale pricing alerts. I’ve officially died and gone to shoe heaven! Oh happy day! Our childhood dreams of “Clueless” becoming a reality have finally come true! Apparel Paris takes the struggle out of picking your look in the morning, it literally dresses you! Here’s how it works, after filling out a simple body profile, then you can fill your closet with pre-selected classics. Go download these apps now! Trust me, you wont regret it!